Drive through the capital city Roseau to the Botanical Gardens; up the lush and verdant Roseau Valley, with stops at scenic locations to providence, where the one and a half hours hike to the Middleham Falls begin. The trail passes through a 950 acre oceanic rainforest within the Morne Trois Piton National park. Enroute the guides will explain about the rainforest trees and the wildlife. 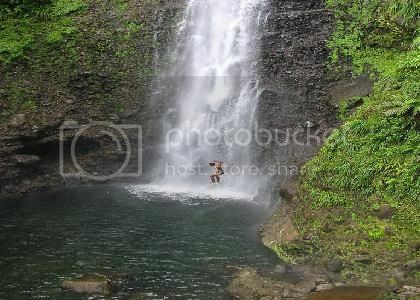 Upon reaching the waterfall there will be an opportunity to swim in the crystal clear pool at the base of the fall. 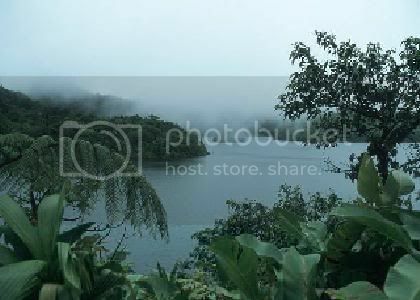 These are two crater lakes located within the Morne Trois Piton National Park. From the village of Laudat a 15-minute breath taking drive with panoramic vistas of the west coast and Dominica's rugged interior takes us to the first of the two lakes, the Freshwater Lake, located under the shadows of Morne Micotrin the fourth highest mountain on the island. This lake is approximately 10 acres in size and over 80 feet deep; it is the main source of water for the island's four hydroelectric plants. 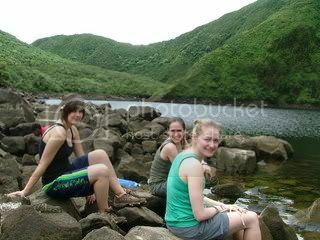 From The Freshwater Lake we hike to the Boeri Lake on a mountain trail, which cab be at times difficult difficult, the trail passes through some lush vegetation and crosses a few mountain streams form which you can drink the water without any problems. Extreme caution must be exercised on some parts of the trail which is very rocky and most times slippery. Do not attempt to go ahead of your guide, he knows all the dangerous areas and will point them out to you if you let him go ahead of you. The Boeri Lake is about 5 acres in size and is believed to be over a 130 feet deep. It is possible to swim in either of the lakes. Time 5 - 6 hours .